Six Vitals in 60 Seconds- That's what Jebrill does. 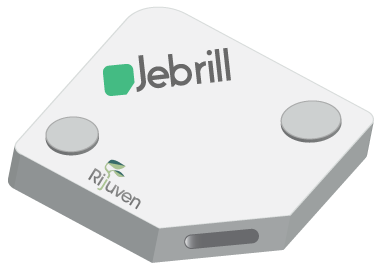 Jebrill is a handheld device that collects heart rate, breathing rate, temperature, pulse oximetry, blood pressure and ECG. Never seen before, Jebrill will combine vitals with other biometric data for consumers to gain deeper health insights. More importantly, health data has been clinically validated, and can be shared with clinicians. A new day of diagnostics at home is here. More information about Jebrill will be added soon.